A treacherous blizzard, loss of power, dark houses – and there’s something outside. 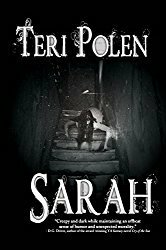 I really liked this book – it pulled me in right away and although it’s being marketed as a horror novel, I’d classify it more as mild horror, more supernatural. The setting itself was really more like a character in this book – a small New England town that has seen more than its share of blizzards. The supernatural part of this book can’t occur without the snowstorms and that’s what makes it so chilling – the town remembers what happened twelve years ago and when a major snowstorm is predicted again, they know what’s coming and have no choice but to hunker down and hope they come through it alive. Within this small town are many characters that were introduced early into the story. While they were all interesting with their backstories and issues, I had a little trouble keeping them straight at times, especially a couple of female characters. Although this was a supernatural/horror story, part of it was about second chances and what you choose to do with that gift – don’t want to give any spoilers. I haven’t read anything else by this author, but I plan to and would definitely recommend this book to horror/supernatural and suspense lovers. 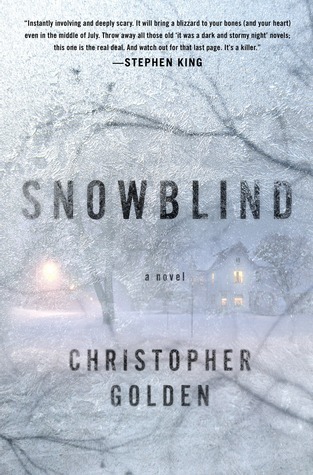 Snowblind is scheduled to be published January 21, 2014. Thanks, John – it’s definitely worth a read. Thanks for the review. This sounds like my kind of book. I’m going to add it to my list to read. I was completely engrossed – perfect for this time of year. 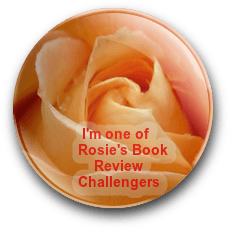 Wow, you had me at this, “The setting itself was really more like a character in this book.” I think more writers need to think about setting as an actual character in their writing (me included). This also seems really good (if you can’t tell I am catching up on some blog reading today, lol). Think I did the same with your blogs a few days ago! You’re right about the setting – it can add so much more depth to a book.